Clearing the air about introducing Foreign Direct Investment (FDI) in multi-brand retail, the government had said a big no for the option. Revealing further, the government stated that the country is not ready to welcome the new move. Since country’s small traders and farmers are not that strong to face the hard-hitting market competition which will arise once the rule is implemented, government feels that it is better to keep FDI in retail on the sideline as of now. While addressing to the packed crowd at The Economist India Summit 2016, Nirmala Sitharaman, Commerce and Industry Minister, Govt. of India stated that at the moment, India can create several Walmarts of its own. We welcome anybody, but if some way this dialogue is moving towards, why not (FDI in) multi-brand retail in India? Government’s answer is, "not yet" . 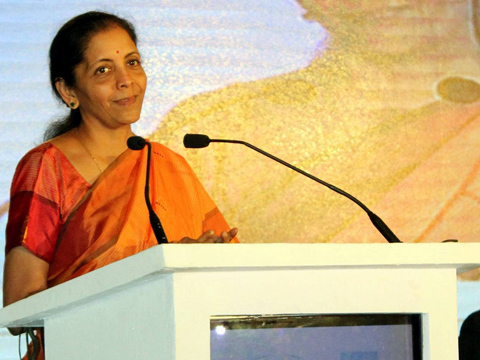 Elaborating on the reasons behind not opting for it, Sitharaman said that there is an issue of last mile connectivity, adequate infrastructure and financial inclusion of those segments such farmers and small traders. These things were absent all the while but now this government is making every effort to bridge these gaps. She also said that the government is taking steps to improve ease of doing business in the country.